Pico Veterinary Hospital is a full-service veterinary medical facility, located in Yorba Linda, CA. The professional and courteous staff at Pico Veterinary Hospital seeks to provide the best possible medical care, surgical care and dental care for their highly-valued patients. Please take a moment to contact us today, to learn more about our veterinary practice and to find out more information about how we can serve the needs of you and your cherished pet. Clean and warm and inviting the Pets are happy and friendly doctors and staff are very professional they treat their pets as their own. We are committed to promoting responsible pet ownership, preventative health care and health-related educational opportunities for our clients. Pico Veterinary Hospital strives to offer excellence in veterinary care to Yorba Linda and surrounding areas. Your pet can profit drastically from common wellness examinations/checkups. Whether your pet is a teenager; or any age in between, wellness examinations provide a wonderful opportunity for us to conduct an intensive physical examination & develop a well-being profile for your pet. Does your best pal have unhealthy breath? Regardless of what many pet owners could consider, “dog breath” isn’t just a nuisance – it’s a sign of an unhealthy mouth. Unhealthy breath is brought on by bacteria. As dental illness progresses, different indicators can be discomfort whereas chewing, or missing teeth. Emergencies, accidents, and diseases are unlucky info of life, but how many of us plan for the unthinkable before it happens? What would you do if your pet had been suddenly sick or injured? Do you may have a plan? Are you aware the place to go for help if your pet needed crucial care or needed to be hospitalized? Are you planning a vacation? Are you worried that you won’t be capable to discover someone reliable to care for your pet while you’re away? Why not plan to have your finest pal stick with us? We provide a handy solution by offering boarding in our safe, clear, and cozy environment here in Yorba Linda. 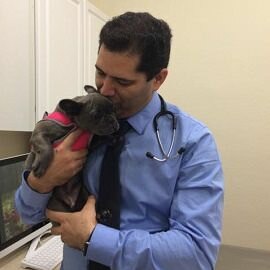 He has worked in several small animal hospitals and emergency centers in Southern California. 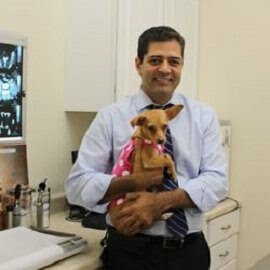 Dr. Liaghat has practiced in New York, Las Vegas and Los Angeles. He recently relocated from New York. We are committed to promoting responsible pet ownership, preventative health care and health-related educational opportunities for our clients. Pico Veterinary Hospital strives to offer excellence in veterinary care to Yorba Linda and surrounding Orange County areas. 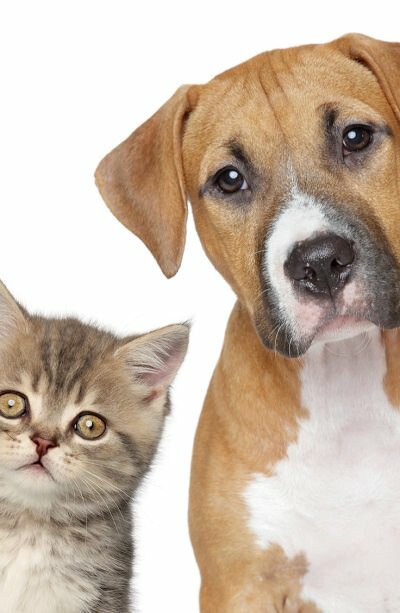 Please take a moment to contact us today, to learn more about our veterinary practice and to find out more information about how Pico Veterinary Hospital can serve the needs of you and your cherished pet.